Your nightcap will never be the same again. 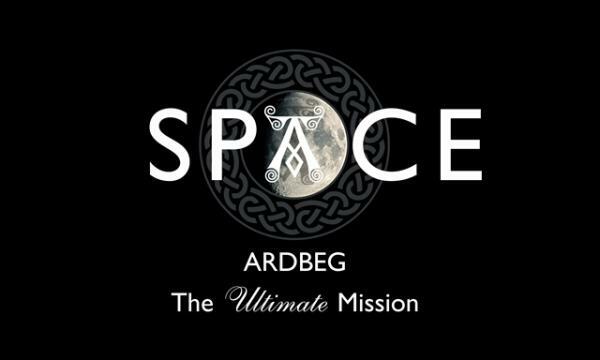 After orbiting space for three years, the single malt Ardbeg will touch down this spring! Ardbeg – the first whisky sent to space – will return home on Friday 12 September. Part of a pioneering research experiment, a vial of Ardbeg will re-enter Earth’s atmosphere on 12 September 2014 after nearly three years of orbiting the globe onboard the International Space Station. For the first time, scientists will be able to decipher the impact gravity has on the whisky maturation process. Having blasted off from Earth in 2011, the Scottish spirit has been on a galactic journey destined to change the whisky industry forever! Specially designed for the mission, a vial of Ardbeg has been orbiting Earth’s atmosphere at about 27 724 km/h, 15 times a day for 1 045 days! At the same time an identical vial had a slightly easier journey, having been housed at Warehouse No.3 at the Ardbeg distillery on the Scottish island of Islay to act as a control sample. Now the two samples will be reunited in a laboratory in Houston, Texas in America for an experiment researchers believe could change the future of whisky production. In a first, scientists will compare the two samples; examining the interaction of the Ardbeg-crafted molecules with charred oak to document what differences occur between Earth whisky and space whisky. Dr Bill Lumsden, Ardbeg’s Head of Distilling and Whisky Creation, will lead the research along with Ardbeg’s space partners – American-based space research company – NanoRacks LLC. Considered one of the leading innovators in the whisky industry and a chemist by trade, Dr Lumsden says Ardbeg is known for taking risks in its development of some of the most coveted whiskies in the world – so it is only fitting that it is the first whisky ever in space. “We are now close to the end and close to finding answers to something previously unknown, which is truly exciting,” he said in a media statement. The single malt will land on solid ground in Kazakhstan onboard the Soyuz-U rocket, before being whisked away to Houston to begin the analysis of its space odyssey. The final and full research findings will be published in 2015 once testing is completed. To celebrate Ardbeg’s journey – boldly going where no whisky has ever gone before – the distillery is releasing a new edition of their “peatiest single malt”: the sold out, highly sought-after Supernova. Fittingly named after the super bright explosion of a star, Ardbeg Supernova 2014 is bottled at 55 % ABV.